BMW M presents the most powerful BMW M5 in the model's history to mark the 30th anniversary of the high-performance Sedan. 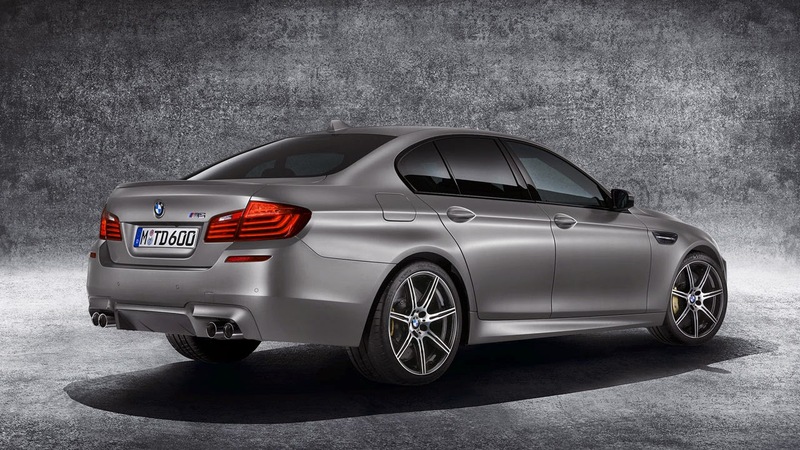 To mark the 30-year anniversary of the BMW M5 – the founder member of the high-performance business sedan segment – BMW has come up with an exclusive, special model version of the current, fifth-generation model boasting performance that sets it apart from its stablemates. 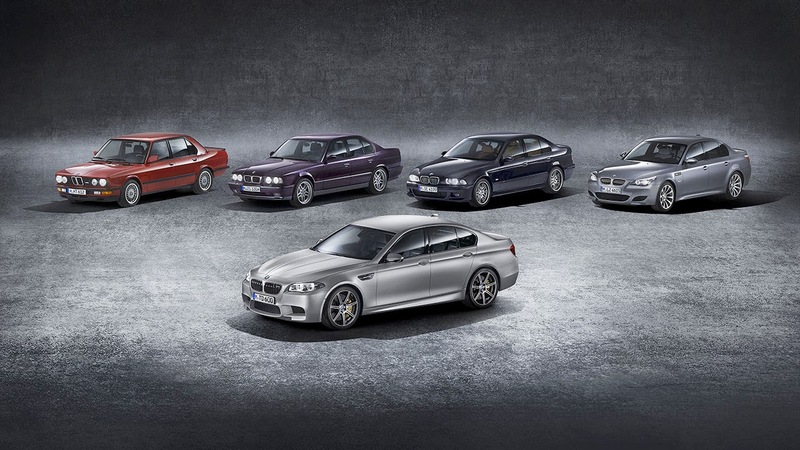 The BMW M5 “30 Jahre M5” (30 years of the M5) will be produced in a limited run of 300 examples vehicles worldwide. Developing 441 kW/600 hp and peak torque of 700 Nm (516 lb-ft), the new special model (fuel consumption combined: 9.9 l/100 km [28.5 mpg imp]; CO emissions combined: 231 g/km) is not only the most powerful BMW M5 ever to emerge from series production under the auspices of BMW M GmbH, but also the most powerful car in the history of the brand. 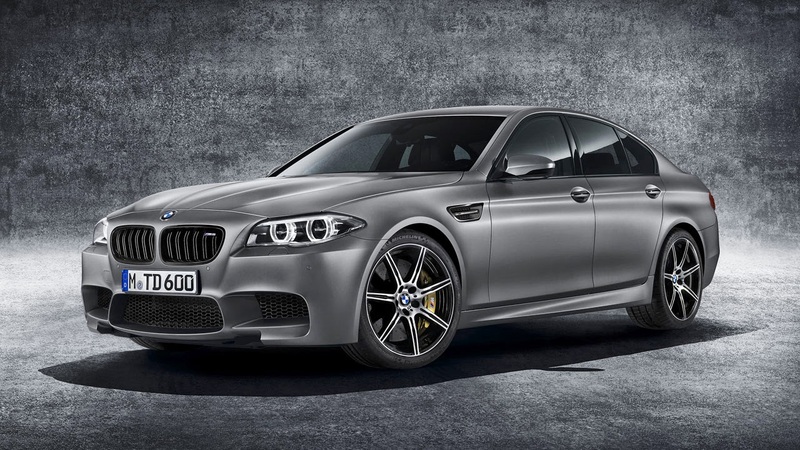 The “30 Jahre M5” sprints from 0-100 km/h (62 mph) in a lightning 3.9 seconds. Its strikingly exclusive, BMW Individual-inspired looks and numerous dynamics and comfort-enhancing equipment details make this special model a highly desirable collector’s item. Extensive package of measures to further increase performance. Under the bonnet of the BMW M5 “30 Jahre M5” is a 4.4-litre V8 engine with M TwinPower Turbo technology whose output of 441 kW/600 hp exceeds that of the standard model by 29 kW/40 hp. This power boost has been achieved through carefully calculated tweaks to the engine management and an increase in charge pressure. The foundation for these upgrades was provided by the Competition Package. 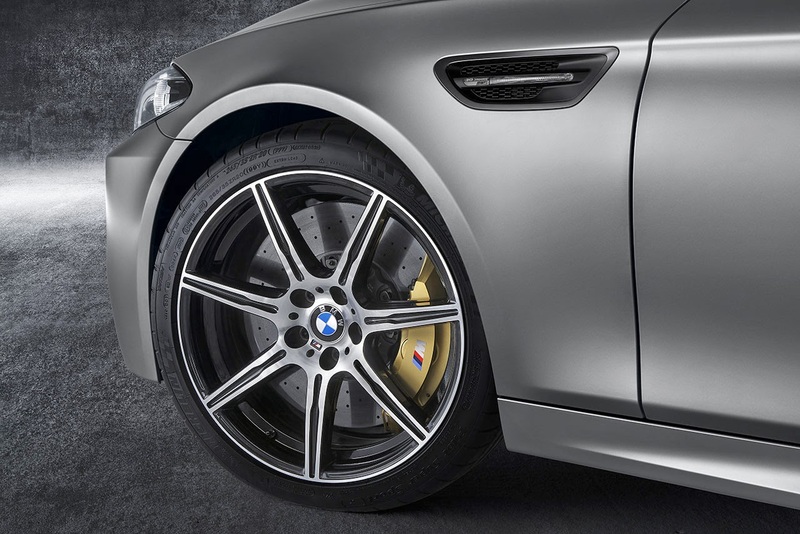 Conceived to appreciably enrich the handling characteristics of the BMW M5, it can be ordered as an option for the regular model and is part of the special model’s standard specification. The Competition Package comprises modifications including a revised chassis set-up with firmer spring/damper tuning and a 10-millimetre drop in ride height. Added to which, the Active M Differential on the final drive gains its own control unit to further improve traction. Elsewhere, the steering with M-specific Servotronic function has more direct mapping. And the M Dynamic Mode of the DSC (Dynamic Stability Control) system is focused even more keenly on delivering sporty handling. The singular dynamic potency generated by these performance-enhancing measures makes the special model a smile-inducing proposition, a point hammered home by its stunning 0-100 km/h (62 mph) time of 3.9 seconds. BMW M5 “30 Jahre M5” catches the eye and cements itself in thememory. In keeping with the anniversary celebrations which have inspired its creation, the special model has been given the BMW Individual treatment. As a result, it cuts an even more dynamic, head-turning figure than its standard-specification siblings. 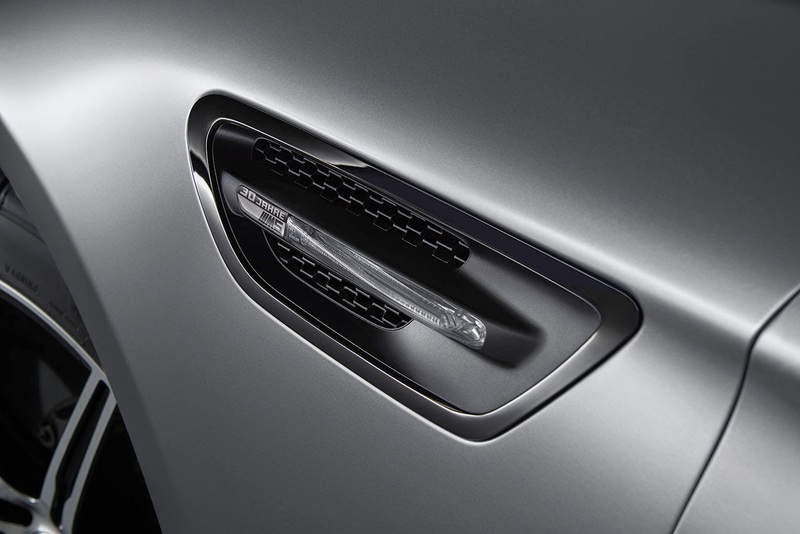 Much of the credit here goes to the use of the striking BMW Individual paint shade Frozen Dark Silver metallic. This softly shimmering matt finish accentuates the elegantly muscular forms of the BMW M5 in particularly impressive fashion. 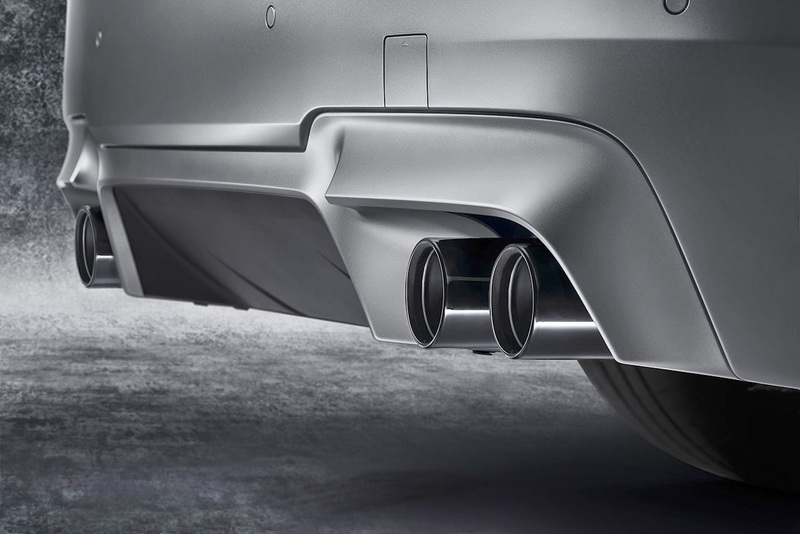 The kidney grille surround, gills with “30 Jahre M5” badge on the front wing, door handle inserts and twin exhaust tailpipes all come in black chrome, adding subtle yet effective accents to the car’s appearance. The same is true of the 20-inch bi-colour M light-alloy wheels with mixed tyres (front: 265/35 ZR 20, rear: 295/30 ZR 20). Exclusive interior exudes understated elegance and powerful dynamics. 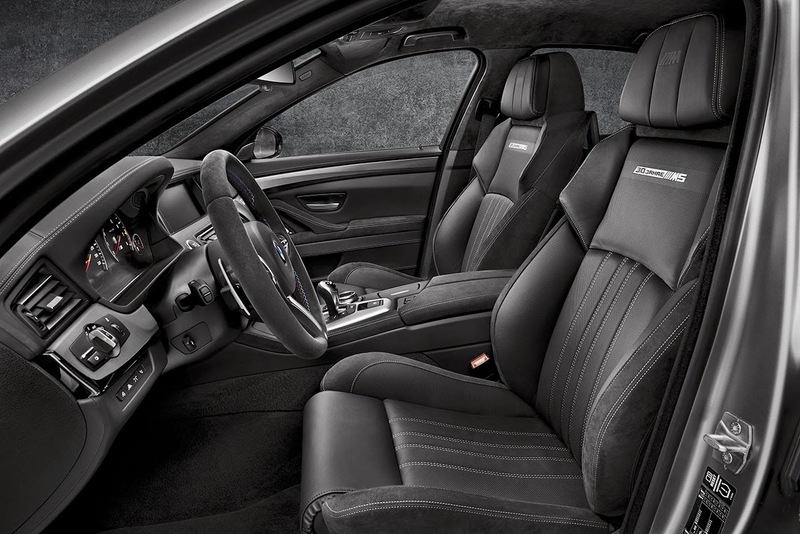 The interior of the BMW M5 “30 Jahre M5” is also focused squarely on celebrating the model’s 30th anniversary. 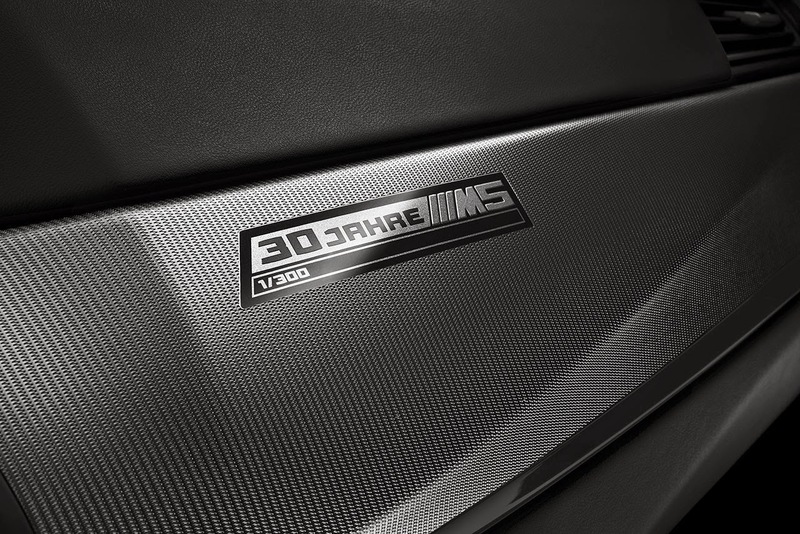 For example, the driver and front passenger will be greeted by “30 Jahre M5” lettering on the front door sill finishers, while a plaque bearing “30 Jahre M5” and “1/300” inscriptions in reference to the special model’s limited 300-unit global production run is integrated into the Aluminium Trace trim strip on the front passenger side of the cabin. 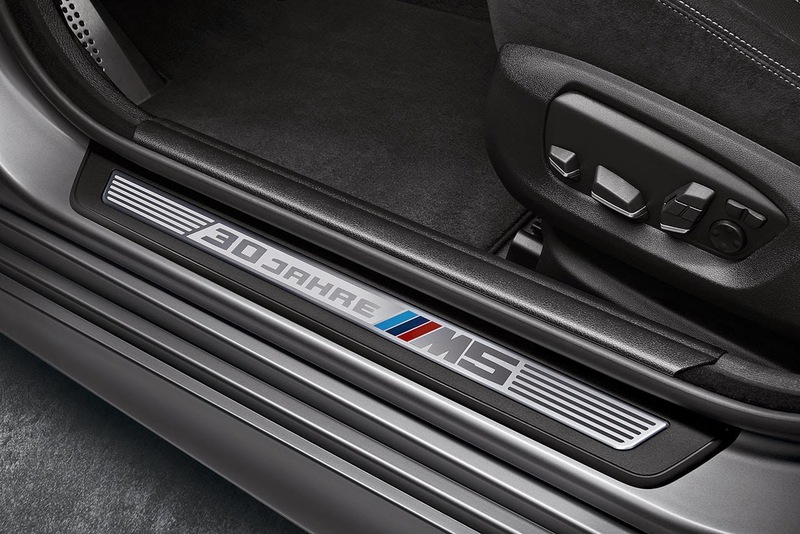 The “30 Jahre M5” logo is also embroidered into the backrests of all four of the high-performance sedan’s seats. Both the driver and front passenger in the “30 Jahre M5” special model can settle into M multifunction seats, whose wide range of electrical adjustment gives them unimpeachable standards of ergonomics and comfort. 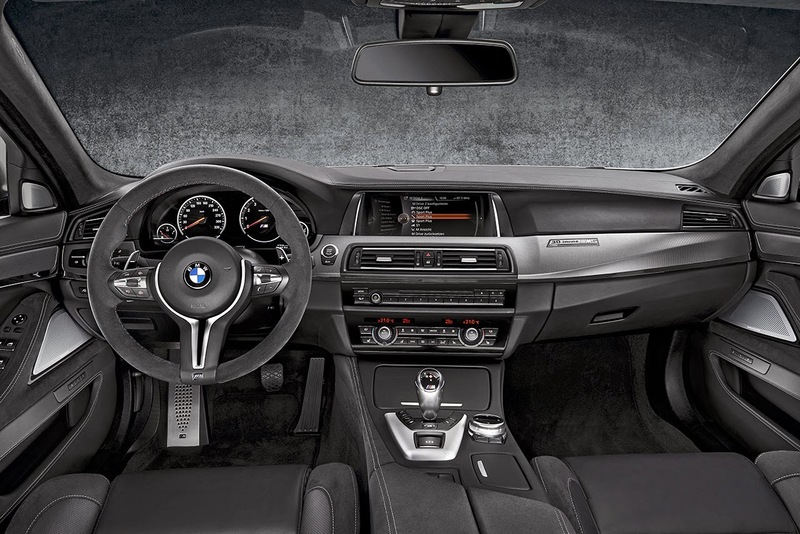 The black Alcantara/leather combination helps to ensure excellent seat comfort and a refined interior ambience, as does the Alcantara Anthracite trim of the centre console and door panels. 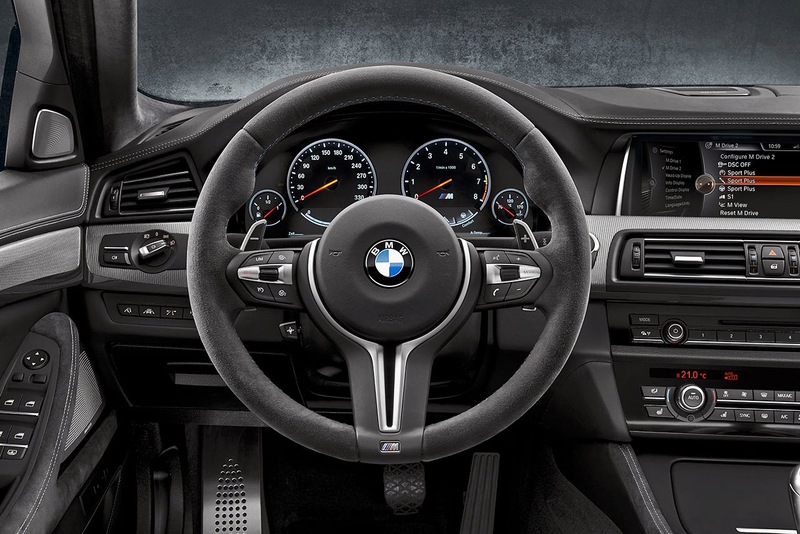 The M sports steering wheel is l ikewise trimmed in Alcantara Anthracite. Among the other equipment highlights of the “30 Jahre M5” special model is a high-end surround-sound system with a total of 16 speakers. Customers can choose between a Harman Kardon unit with output of 600 watts and a 1,200-watt Bang & Olufsen high-end surround-sound system. In its visual impact, equipment and performance, the “30 Jahre M5” is much more than merely a styl ish anniversary version of the segment-founding highperformance sedan – it represents a new high point in 30 years of success. And the story that began at BMW Motorsport GmbH in Munich in 1984 continues to raise the pulses of car fans around the world today.